This is my topology, and the flapping interface is ether2 on 10411p-cpe001. The problem is that they're not sending out the update again out in area 0. If I once again disable and enable ether2 on cpe, the route is updated into area 0 and area 172.24.31.240 ABR. However, this isn't true 100% of the times, but seems to be related to how long the interface is down/disabled. Another test while the cpe's route hasn't been sent to area 0. If I disable the cpe's loopback interface (172.24.32.7/32) and enable it again, the 172.16.31.0/24 route comes back, but now the loopback route is missing from the area 0 and area 172.24.31.240 routers. This is also not true 100% of the times. 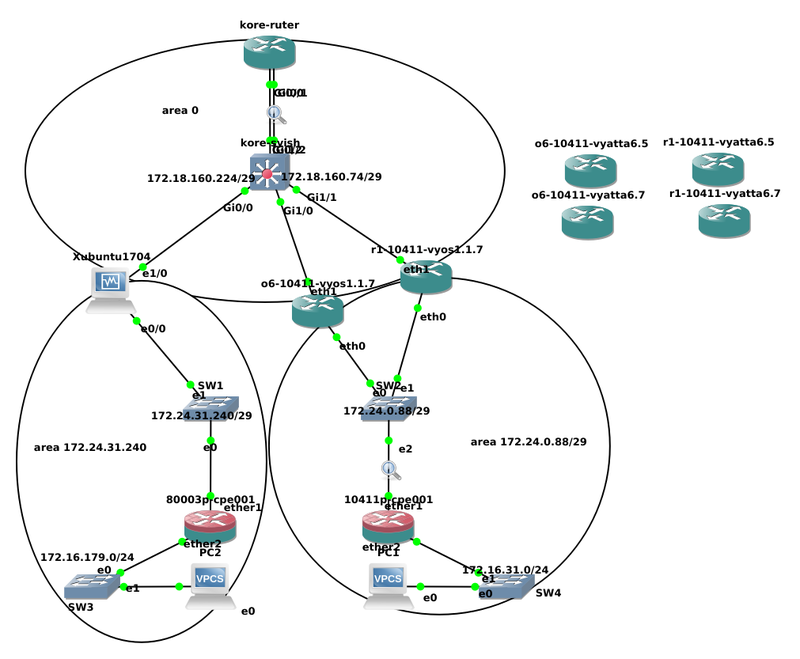 I have not tested other topologies/areas than this. I have tested disabling vrrp and running area on eth0/1. It's the same behaviour on vyos 1.1.3 to vyos 1.2.0 latest nightly build. When link goes up the LS Update is always sent into area 0 when using FRR 3.1, Vyatta 6.7R3 and other routers. Wire captures are made as shown on topology picture. 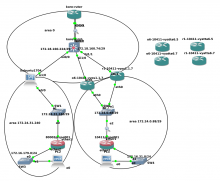 OSPF now works as intended in this particular setup. The ABR now sends LS Update type 3 into core. I'll just attach the captures here if they're out of interest. this seem to be solved since moving to frr.